Phantasmagoria explores ideas of spirit and soul since the Enlightenment; it traces metaphors that have traditionally conveyed the presence of immaterial forces, and reveals how such pagan and Christian imagery about ethereal beings is embedded in a logic of the imagination, clothing spirits in the languages of air, clouds, light and shadow, glass, and ether itself. and relates how the new technologies of the Victorian era were applied to figuring the invisible and the impalpable, and how magic lanterns (the phantasmagoria shows themselves), radio, photography and then moving pictures spread ideas about spirit forces. As the story unfolds, the book features many eminent scientists and philosophers who applied their considerable energies to the question of other worlds and other states of mind: they staged trance seances in which mediums produced spirit phenomena, including ectoplasm. 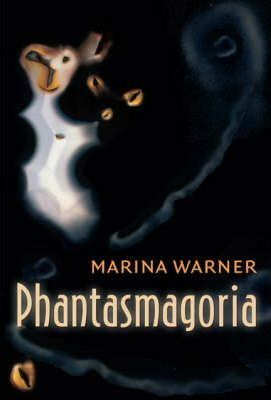 Phantasmagoria shows how this often surprising story connects with some of the important scientific discoveries of a fertile age, in psychology and physics, and continues to influence contemporary experience. Rigorous research, dazzling cross-disciplinary leaps ... her passion seeps right through to the last page. Observer Review. she is an Honorary Fellow of Lady Margaret Hall, Oxford, and a Visiting Professor at St Andrews University. In 2005 she was elected a Fellow of the British Academy.